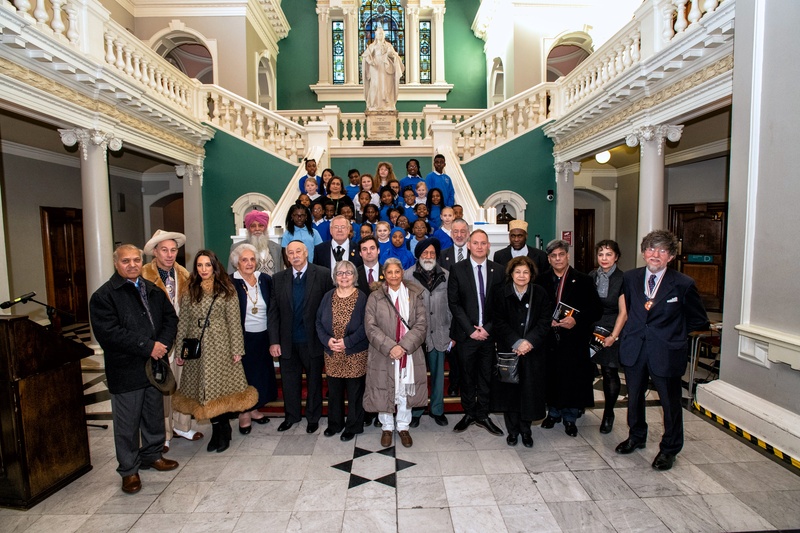 As part of international Holocaust Memorial Day, Royal Greenwich came together on Monday 28 January to remember the many victims who suffered during Nazi persecution and in subsequent genocides around the world. Holocaust Memorial Day is marked each year on 27 January, the anniversary of the liberation of Auschwitz-Birkenau, the largest Nazi death camp. The theme of this year’s Holocaust Memorial Day was 'torn from home' which encourages us to think about how the enforced loss of a safe place to call 'home' is part of the trauma faced by anyone experiencing persecution and genocide. Cllr Mick Hayes, Deputy Mayor of Royal Greenwich, said: “In marking Holocaust Memorial Day, we bring together people from all over our borough, from a diverse range of communities and faiths to show our commitment in working together for a safer future - calling for an end to racial, ethnic, religious, disability, gender and sexuality-based violence and oppression. “At today’s event we considered the difficulties survivors face as they try to find and build new homes when the genocide is over, and how we can support those escaping persecution today and those who may be looking to make a new home in our own communities in Royal Greenwich. The ceremony included readings from Cantor David Rome and Gilles Cabon, Chief Exec of Greenwich Inclusion Project, as well as a speech from Cllr Danny Thorpe, Leader of the Council who spoke about the role that we play in our communities in welcoming those who need shelter and a new start. Faith leaders from around the borough said prayers and Mulgrave Primary School choir, who have been working with the Catford and Bromley Synagogue, sang in Hebrew.